After leaving the job it is quite difficult to withdrawal the PF amount. Most of the person want to know easy way how to withdrawal his PF amount. There is a long and difficult process which you have to face during the PF withdrawal after leaving the job. But don’t worry in this guide we have to discuss an easy way how to PF withdrawal after leaving the job. If you want to change the job, still in the job then you should not able to withdrawal your PF amount. 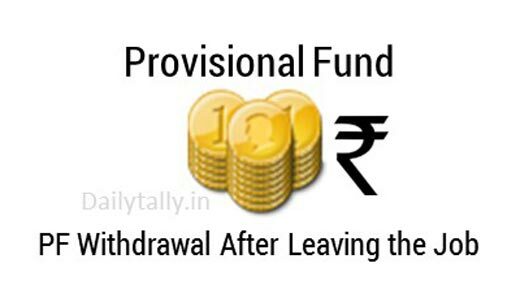 You can withdrawal the PF amount only when you don’t have any job for few months. If any employee want to withdrawal his PF amount after leaving the job then you must have to check the required documents. There are two methods which you have to use to easily PF withdrawal after leaving the job. But first you have to know that your PF amount is taxable if your PF amount withdrawal before the five years from the date of opening your PF account. You can withdrawal your PF account either on retirement or partially after submit the Form 19 or Form 31. You can submit your forms to the EPFO department when you fulfil the conditions. 1. Your Aadhaar number and bank account number is linked with the UAN number. 2. The UAN number must be activated and your KYC document is verified by the employer. 3. You can update your KYC detail from the official website of EPFO. If you want to withdrawal the PF amount then you must have need following documents. 1. UAN (Unique Account Number) is an essential document for PF withdrawal. 2. Your ID proof, date of birth, father name will be matched. 3. Your name must be matched with your bank account passbook, cancel cheque. 4. Your Joining and leaving the job date must be entered in the form properly. If you feel that your employer does not gives you proper support in that situation you must have to use first method for PF withdrawal. You have to use new form for PF withdrawal in which you don’t require the employer. It is a big relief for all those guys who want to know how to PF withdrawal after leaving the job. You have to take few simple steps to do this job. 1. You must have to link your Aadhar number with UAN. 2. Download new EPF withdrawal form and fill the required detail. You have to fill your mobile number, UAN number, Name, Date of leaving the job, PAN number and postal address. 3. Fill the new EPF form and directly submit this form in to the regional PF office. If you need involvement of your employer to withdrawal your PF amount then you have to use second method. In this method you have to download Form 19 from the official website of EPFO and fill all required information. You can also withdraw your pension amount but in that situation you have to fill the Form 10 C.
You this method you have to fill PF account number, Date of Joining, Date of leaving, Registered bank account number with IFSC code and cancelled cheque. All these documents with complete detail in the form you have to submit the detail to HR department of your employer. Now, HR department will check and attest the form and send to the regional PF office. After that you have to wait minimum for one moth to process your PF withdrawal application and then your PF amount is deposited into your bank account. I hope this article is useful for all those guys who want to know the process how to PF Withdrawal after leaving the job. If you have any suggestion regarding this article then write us in the comment box. Thanks to all.